Barr, Anhut & Associates, P.C. Barr, Anhut & Associates, P.C. 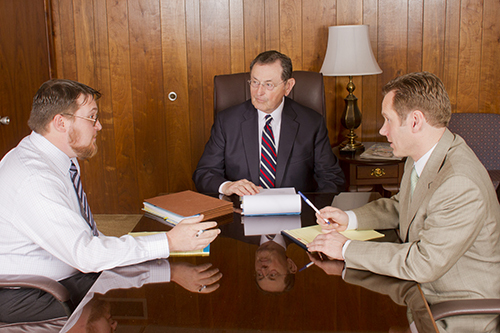 is a boutique law firm consisting of two principal attorneys, an associate attorney, and an of-counsel attorney. The firm has a full time office manager and a part-time receptionist and bookkeeper. There are usually one or more part-time interns or externs working at the firm as well. These are law students that assist the firm in conducting research, document preparation, and other legal tasks. The firm combines the years of legal experience our staff possesses with resources and technology not commonly found in other similar firms. We are a highly regarded firm with rich in history and experience, but yet strive to be as current with modern methods and practices as possible. This allows Barr, Anhut & Associates, P.C. to be a firm that performs excellent work at very reasonable rates.